The law might need some “technical amendments”. 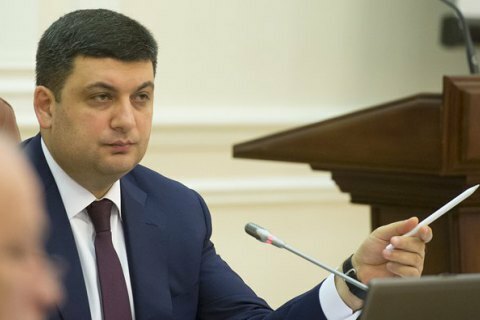 The government is ready for the new law on civil service, Prime Minister Volodymyr Hroysman says. "I emphasize my stance and I think it coincides with the position of the government – there can be no delay. The bill has been passed. It must come into force," he said at a government meeting on Wednesday. The law is to take effect on May 1. Hroysman admitted that “technical amendments” could be made to the document and approved during the course of its implementation. "It is impossible to delay (implementation of the measure). This would not solve the problem, but make it worse," he said/. President Poroshenko said at a meeting of the National Reforms Council that the law on civil service should be revised, noting that amendments to the bill would soon be floored in parliament. PM: ministers falling behind EU deal targets in for "lots of heartache"
Ukraine’s central bank unrolls sanctions over "Savchenko case"